We’re rolling out the red carpet for ladies over Mother’s Day weekend! 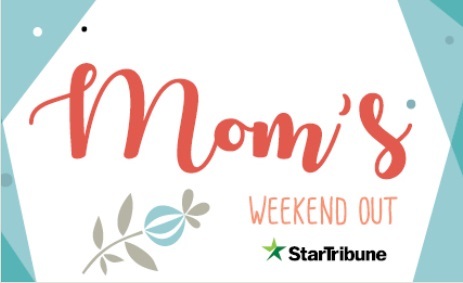 Enjoy two days of fun with Mom’s Weekend Out! Grab your mom, girlfriend or gal pals to indulge in a weekend of shopping, fashion, food and fun all in one place – Canterbury Park! Mom’s Weekend Out • May 11 & 12, First Post 12:45 p.m.
Saturday, May 11 • $10 to enter for a chance to win a Canterbury Entertainment Package. Saturday, May 11 • 9:30 a.m. – 11:30 a.m. • Ticket $20 includes live racing mission & more. Sunday, May 12 • Noon to 5 pm • Ticket prices vary see below for details. Offered each day in Triple Crown Club – 12:30 p.m. to 3 p.m.
Have fun and get creative during Mom’s Weekend Out with Make and Take events from noon to 5 p.m. on Sunday, May 12! Experts will be on hand in the Expo Center to help you make your own succulents or paint your own inspirational wine glasses. In an open house setting, the sessions last about an hour. Tickets go on sale soon. All tickets include live racing admission. Purchase both events and save $5! Prices above are advance sale prices, event prices will increase the day of the event. Kids ages 17 and under are free admission every race day!